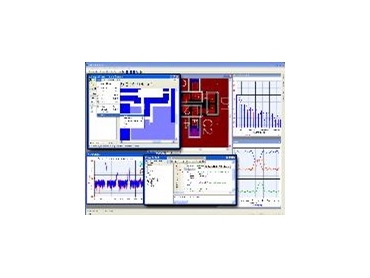 Agilent Technologies have announced the release of Genesys 2008.07 version. The Genesys 2008.07 version improves the artwork masks for ElectroMagnetic (EM) verification and RF board manufacturing and also models and enhances the user interfaces. The functionality of the Genesys 2008.07 version shortens design cycles and reduces iterations for RF designers with tight deadlines and budgets. The Genesys 2008.07 version offered by Agilent Technologies exports RF board masks and artwork files to board fabricators along with inexpensive rapid-prototyping machines and a variety of CAD/CAM software for physical product designs. The Genesys 2008.07 version includes a graphical artwork previewer and a pre-production editor, and allows designers to inspect masks for layer alignment issues, short circuits or open circuits, and then to make direct real-time adjustments. The technology for artwork exchange in the Genesys 2008.07 version has been adapted from the ADS 2008 platform developed by Agilent Technologies and is included as a free upgrade for Genesys 2008.07 version users. The Genesys 2008.07 version available from Agilent Technologies feature direct board fabrication and its Momentum GX planar-3D EM simulator allows users to import drawings for EM verification. The Genesys 2008.07 version offers users improved artwork exchange for the DXF, DWG and Gerber formats. According to Agilent Technologies, the Genesys 2008.07 version allows for a final EM verification of the RF artworks with the help of the Momentum GX planar-3D EM simulator and ensures that the designs work at the first time. provides support for updated Wiki-based documentation and importation of CITIfile S-parameter data files from Agilent instruments.